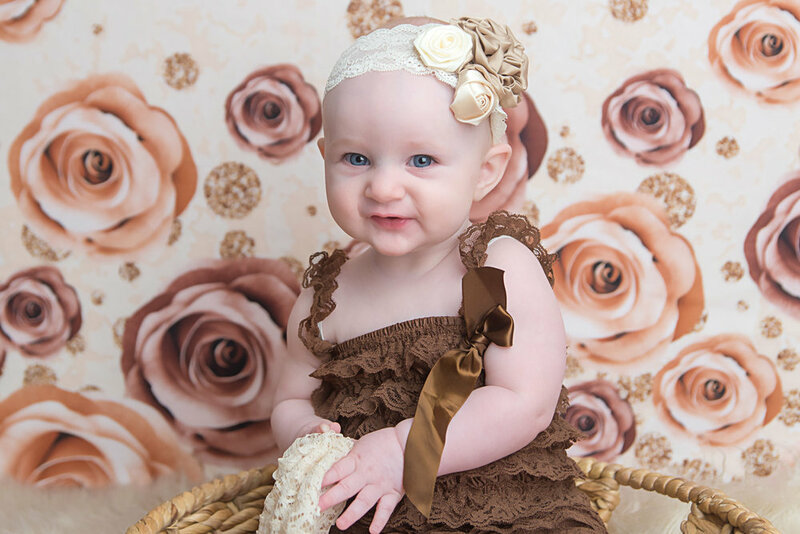 I absolutely love photographing babies! Let me capture the smiles and the laughter because, as you know, time flies and before you know it they are all grown up! Sessions are scheduled according to 2 different milestones, not by specific ages. Tummy sessions take place in my St. Louis studio. Sitting sessions can take place in the studio or at an outdoor location. I have many outfits for both girls and boys or can assist in deciding if an outfit that you own will photograph well. I do not put a time limit on these sessions and will photograph to each child's unique needs. Some babies may take time to "warm up" and that is OK! You can expect the session to last about 30-60 minutes on average.